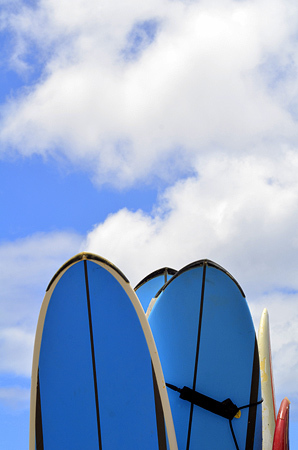 On our tropical honeymoon, we can ride the waves at the new Surf School by Billabong at the Beach Club. The resort has teamed up with Billabong, the renowned Australian surfwear company that sponsors surf competitions around the world and Costa del Este Water Sports, to introduce the new Surf School. We will immerse ourselves in the rich history and tradition of one of the finest golf resorts in Florida. Dating back to the times when PGA professionals Sam Snead and Tommy Amour held positions on staff, this exclusive golf resort has always sought to offer a unique, exclusive and luxurious year-round golf experience. Just a short shuttle ride from Boca Beach Club, the two 18-hole championship courses include the signature Resort Course, the Dave Pelz Scoring Game School and a variety of other select facilities and services. Here, we will delight in the beautifully maintained links delivering the perfect blend of history, amenities, luxuries and challenges for our honeymoon in Boca Raton. 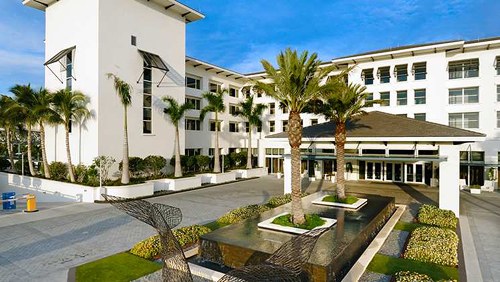 On our romantic honeymoon at Boca Beach Club, we will play a match in the expansive Tennis and Fitness Center. Thanks to your thoughtful contribution, we will rent racquets for a game or two on one of their courts, or if we need instruction, professionally trained professionals can assist in a private lesson. Our honeymoon will be enhanced with a private cabana for two. We will discover pure honeymoon bliss in our own cabana with a tiled bathroom, two padded chaise lounge chairs, dining seating for up to four people, a flat panel television, a shower, a vanity and other extra amenities. We will enjoy a relaxing two hour Intracoastal cruise and ocean sail on a 55-foot sailing catamaran yacht on this wonderful excursion. During the cruise, we will sit back and relax, sip a cool drink and enjoy the sights as we sail along the scenic shoreline of the Intracoastal. The trip will be concluded with an exhilarating sail on the Atlantic Ocean. This newly redesigned 420 square foot room offers us an unforgettable stay on our honeymoon. Our room boasts a glass wall with floor-to-ceiling sliding windows, contemporary water-inspired décor with hues of sand, pale green and aquamarine accented with bleached woods and grass cloth wall coverings. The King Ocean Vista Room promises us a minibar, plush robes, a king size bed with luscious linens, an elegant bathroom with a deep soaking tub and a separate rainfall shower, signature bath amenities, and stunning ocean views. We will indulge in a stay in the King Poolside Lanai Room in paradise. Our room is newly renovated and oversized with 500 square feet of space and a 180 square foot furnished patio with direct access to the Pool Oasis and beach beyond. Featuring a glass wall with floor-to-ceiling sliding windows, this room is designed with contemporary water-inspired décor with hues of sand, pale green and aquamarine accented with bleached woods and grass cloth wall coverings. This tropical retreat promises us a minibar, plush robes, a king size bed with luscious linens, an elegant bathroom with a deep soaking tub and a separate rainfall shower, and signature bath amenities. At Boca Beach Club, we will take delight in the charming settings of the King Sky Deck Room. Newly redesigned, this 420 square foot room with an expansive 250 square foot furnished sun deck boasts lounge chairs, dining table with armchairs and panoramic ocean views. Our room is beautifully decorated with contemporary water-inspired designs with hues of sand, pale green and aquamarine accented with bleached woods and grass cloth wall coverings. This soothing sanctuary promises us a minibar, plush robes, a king size bed with luscious linens, an elegant bathroom with a deep soaking tub and a separate rainfall shower, and signature bath amenities. 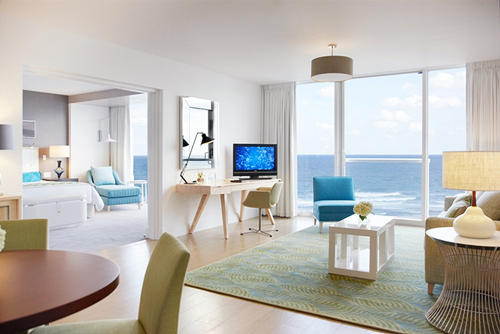 With your lovely wedding gift we will enjoy a stay in the Beach Club One Bedroom Ocean Suite. Newly redesigned and spacious with 850 square feet of space combined with living and dining areas, this suite also offers full ocean views and French doors that lead to a separate king master bedroom. Featuring a glass wall with floor-to-ceiling sliding windows, this suite is designed with contemporary water-inspired décor with hues of sand, pale green and aquamarine accented with bleached woods and grass cloth wall coverings. Our suite includes a minibar, plush robes, a king size bed with luscious linens, an elegant bathroom with a deep soaking tub and a separate rainfall shower, and signature bath amenities. We will relax by the Pool Oasis and delight in warm sea breezes, refreshing cold drinks and a casual yet extensive menu at Beach Café and Bar. Located next to the beach club’s Pool Oasis, this relaxing bar and café provides the perfect spot for us to cool off with a cold drink or unwind with a delicious cocktail. We will indulge in a selection of sandwiches, salads and burgers, and on Saturday evenings, we will embrace the lively spirit of happy hour. Ocean Bar offers the highest levels of comfort and contemporary style. We will enjoy a relaxing drink on the terrace offering breathtaking views of the pools below and the breaking waves of the Atlantic Ocean. Located in the Boca Beach Club lobby, this modern and sophisticated bar creates a bold statement with contrasting colors and the shimmering effect of a metal and glass curtain encasing the bar. SeaGrille is located on the 3rd floor lobby level of Boca Beach Club and offers stunning views of the Atlantic Ocean and a choice of indoor and outdoor dining. We will enjoy the casual yet sophisticated atmosphere and indulge in the freshest fish dishes available. 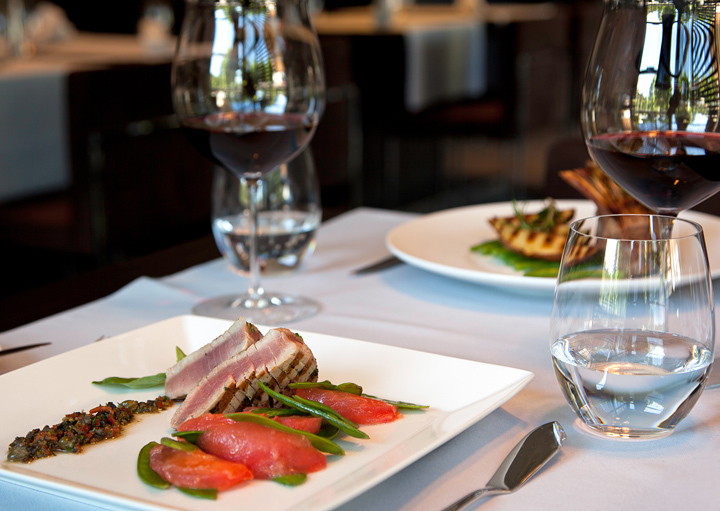 SeaGrille offers an outstanding wine selection, served by the glass, and a superb menu featuring a variety of seasonal soups and salads. Snack is located on the beach level and within close proximity to the fitness center. This convenient grab-and-go café offers a fantastic selection of light bites and refreshing drinks. We will enjoy delicious gourmet coffees and breakfast pastries. We will sample a selection of sandwiches, specialty pizzas and hot dogs with make-your-own toppings, or we will cool down with one of their delicious frozen yogurts. Boca Beach Club, A Waldorf Astoria Resort redefines the quintessential beach getaway with a fresh modern concept of barefoot elegance. A unique oasis, the Beach Club welcomes us with dazzling ocean views, exceptional dining experiences, tantalizing drinks, an array of activities, lavish amenities, and a soothing spa. We will discover an unforgettable honeymoon enhanced with the surrounding beauty of Boca Beach Club. Commanding a prime location on the pristine shores of the Atlantic Ocean, Boca Beach Club offers us a paradise of sun, sea and sand. We will enjoy spectacular views of the golden shoreline and Atlantic Ocean from the comfort of a breezy, beach club guestroom. This idyllic retreat shares an exclusive inclusion with the legendary Boca Raton Resort and Club and offers an array of luxury services and amenities including sophisticated cuisine and exquisite drinks. Here, we will discover an inner oasis at the spa or enjoy an array of activities ranging from golf, to watersports. Thanks to your thoughtful contribution, we will delight in a memorable, luxurious beach getaway. A chilled bottle of champagne will be delivered to our suite. We will make a toast to our romantic honeymoon in paradise while taking in the views of the Atlantic Ocean from our balcony. A bottle of our favorite wine will be delivered to our room or suite. We will make a toast to our honeymoon while taking in the stunning views of the Atlantic Ocean and beyond. We will discover romance at its best. I will relax while a trained expert closely analyzes my needs and designs a customized treatment specifically for my skin type. Rooted in the classic European facial, this tailored treatment infuses the precise ingredients that will leave my skin balanced and radiant. This is perfect for all skin types, including the most sensitive. In the tranquil settings of Spa Palazzo, I will indulge in the lavish Aroma Massage on my honeymoon. An exquisite collection of four different aroma Nectars will be drizzled along my spinal column as a prelude to the sumptuous massage performed with amaranth oil. The healing power of these essential oils will balance my mind and relax my body while Thai, Balinese and Shiatsu movements work to increase relaxation, joint mobility and energy flow. On my honeymoon I will take delight in the Hot Stone Massage. The ancient art of healing will bring relief to my tense muscles, aching joints and my stressed mind. 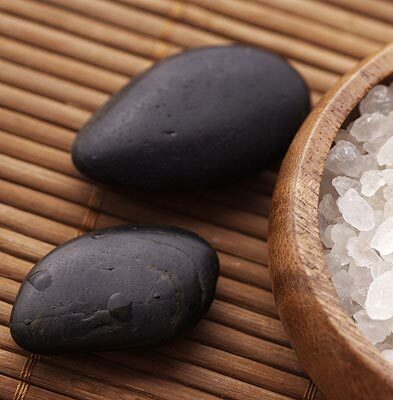 Smooth, heated basalt stones will be combined with a gentle massage to simply melt away stress and deeply relax my body. We will enjoy the beauty of a couple’s suite on our romantic honeymoon. In the tranquil settings, we will experience a customized massage as we create special memories of lying side-by-side being pampered with this relaxing spa indulgence. At Boca Beach Club, I will indulge in the Honey Scrub treatment. This lavish scrub uses crystallized honey particles that tenderly exfoliate and then melt into my skin to provide further nourishment. My sweet spa treat will end with a hydrating application of their signature C+C Vitamin Body Cream. My Citrus Drench Wrap is an exceptional treatment based on the use of ascorbic acid, orange juice, crystallized honey and shea butter to exfoliate, treat and protect my skin from dryness and premature aging. This service provides my skin with spectacular antioxidant and firming results from the very first session. Including an exfoliation, treatment wrap and application of treatment body cream, my Citrus Drench Wrap is a delightful treat for my honeymoon. I will enjoy this lavish manicure on my honeymoon. My hands will be fully exfoliated with a shimmering Diamond Dust mud, which is removed with the use of a magnetic device. This luxurious exfoliation will be followed by a revitalizing massage to alleviate and reenergize tired muscles, cuticle care, a buffing and an application of my favorite nail polish. I will enjoy this lavish pedicure on my honeymoon. My feet will be fully exfoliated with a shimmering Diamond Dust mud, which is removed with the use of a magnetic device. This luxurious exfoliation will be followed by a revitalizing massage to alleviate and reenergize tired muscles, cuticle care, a buffing and an application of my favorite nail polish.